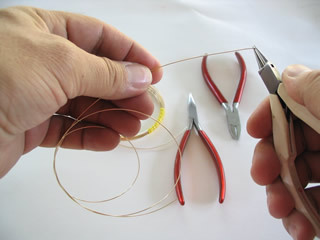 It’s all in a day’s work for Mario Stefanovic, as wire jewelry making expert, but it’s fascinating to see how a simple length of shiny wire takes shape and personality under his talented manipulation (check out some of Mario’s work here). 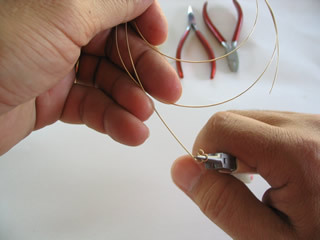 Mario starts with a length of goold-filled wire. He carefully makes the first few bends and turns, creating the clover that helps to stabilize the top bar. 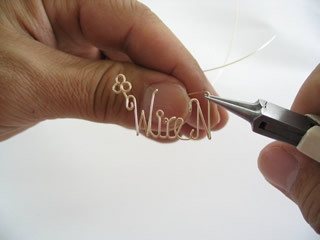 The first letter of the wire name is emerging as he starts on a capital “w”. This wire name starts to come to life as Mario finishes the word “Wire” and continues on with a capital “N”. He rounds out the “m” cleanly and smoothly, his practiced hands easily working the tricky wire into smooth, elegant letters. 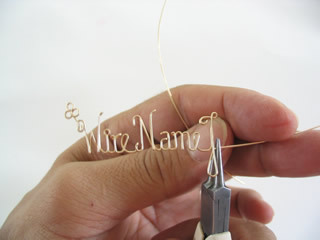 “Wire Name” is now finished as he moves on to the word “Jewelry”. This lovely piece of art is coming to life. 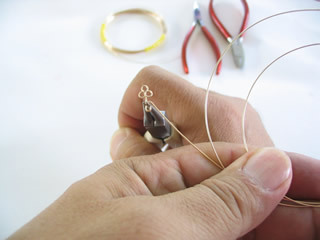 The final step on most jewelry items would be the stabilizing bar across the top. 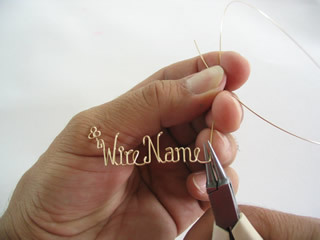 This is the completed wire name logo. 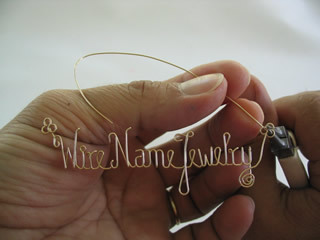 Let us create a beautiful, wearable, personalized artwork name out of gold or silver wire for you or your loved ones. This entry was posted in Jewelry Making. Bookmark the permalink. 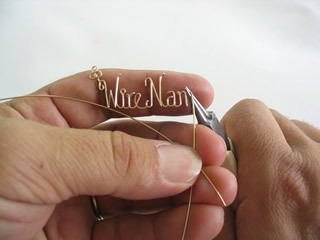 We’ve been personalizing wire name jewelry for over 30 years. We love it and so does our customers, over 36,000 of them. 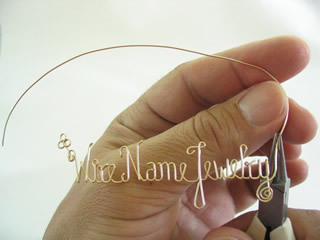 We love to give back to the personalized name jewelry community by sharing some of our techniques and tips in this blog.